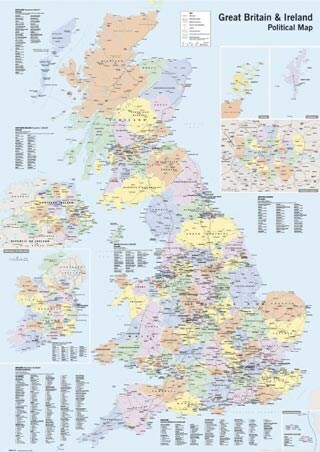 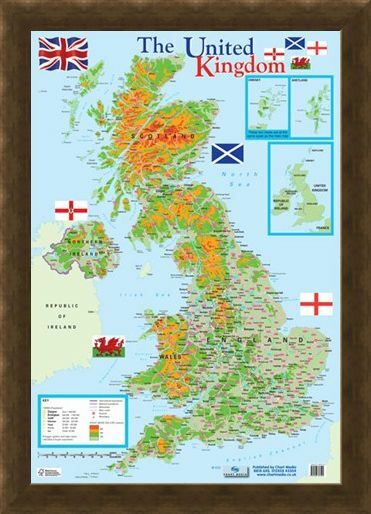 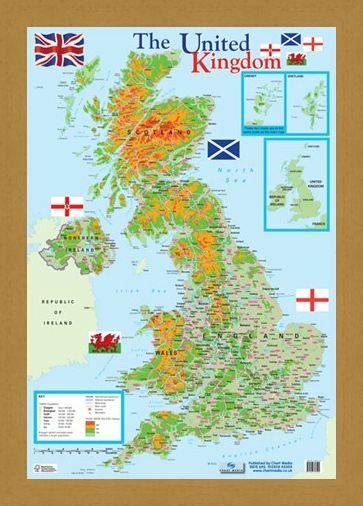 The United Kingdom Mini Poster: This glossy educational mini poster features a large map of The United Kingdom which shows all major routes, international boundaries, airports, mountains and the seas surrounding it. Maps have been in use for hundreds of years since before Medieval times to help people find their way around; this detailed map is labelled from Lands End to John O Groats so you'll easily be able to locate your position. There is also a key on the poster which indicates height above sea level, the populations of towns and cities and a scale. 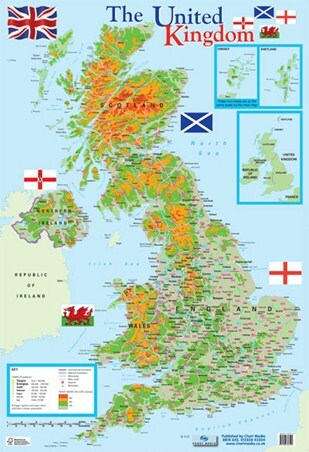 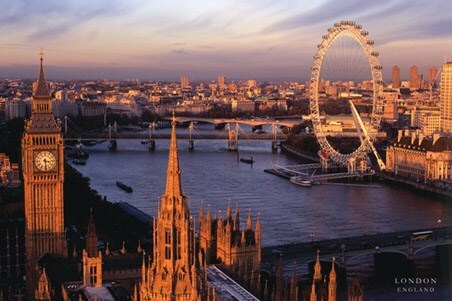 Also featured are the four different flags associated with England, Ireland, Scotland and Wales, as well as the Union Jack. 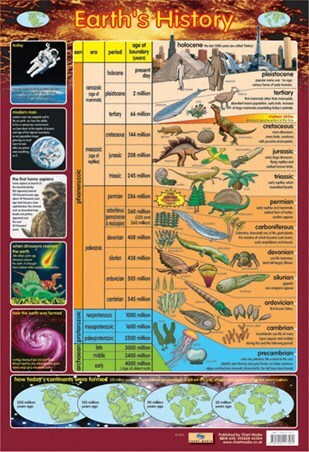 Whether you're looking to travel or just want to learn a bit more about its geographical values, this mini poster is a great addition to any home. 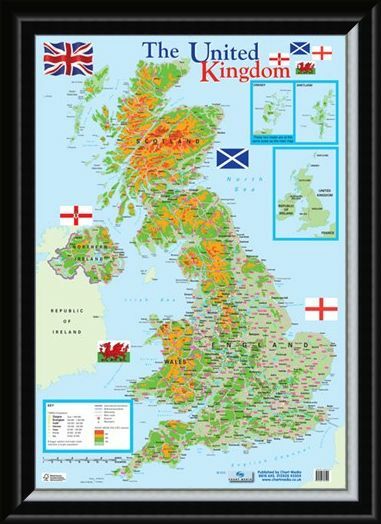 High quality, framed Map of The United Kingdom, Educational Map mini poster with a bespoke frame by our custom framing service.